Powering your Class 8 Mack® truck is not a job for the faint of heart, but your Mack's diesel engine is always up to the challenge. Whenever you and your truck are at work, your engine is laboring just as hard under your hood to keep you going. Your engine's workouts can generate some serious heat. After putting in a few hours at the jobsite or on the highway, temperatures under the hood can easily reach 210 degrees Fahrenheit. Any hotter than that, and you could be looking at major engine damage due to overheating – a very expensive fix that could have been avoided with proper preventive maintenance. The charge air cooler (CAC) on your engine cools compressed air from the turbocharger to the proper temperature before sending it back into the engine. Good compression results in more air, which is key. Undetected leaks could cause your engine to produce less horsepower and burn more fuel. A bad charge air cooler can cause you to lose half a mile per gallon, which can add up to $5,000 in increased fuel costs in a 12-month period. If you have a leaking CAC, you're not alone. It's estimated that 40 percent of trucks on the road that are two years and older currently have charge air coolers that are leaking out of the engine manufacturer's specifications. Never fear. If you suspect your CAC is going bad, you can buy a test kit with a special gauge to attach to the CAC and pressure it up to 30 psi. The CAC should hold air for at least 15 seconds. If there is a pressure loss of 5 psi or more within the 15 seconds, your CAC is leaking and it should be replaced immediately. 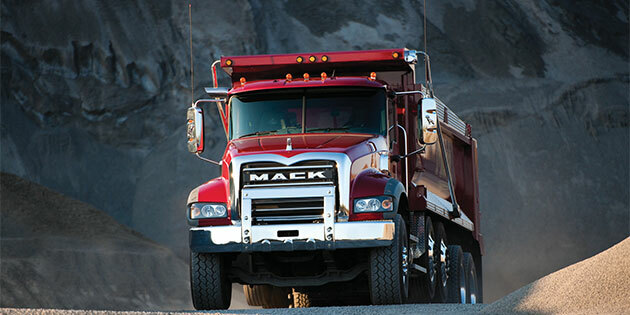 Trust the factory-trained technicians at your nearest Mack Trucks dealership to check your CAC during every preventive maintenance visit and each time your oil is changed. When you need a new charge air cooler, check out the high-quality, value-priced offerings at RoadChoice™. You can also order engine cooling system components online through SELECT Part Store™, where you'll find monthly discounts on popular parts and shop supplies.